I wasn’t always a Khaqbib fan, in fact, I missed a chance to personally greet him when he visited the town. Never the less, he slowly grew on me since the Johnson fight. I was finally hooked after his impressive onesided beating against Barboza. How can anyone in his right mind not be hooked? Truth be told, It was disappointing to not witness him against Tony Ferguson. Yes, stuff happens and I’m not really mad at Khabib. With that being said, Tony won the belt fair. Yes, his opponent wasn’t the number one contender but it was a win against a dangerous opponent never the less. The guy now holds the interim belt which means only one thing: A title fight against Conor McGregor. Unfortunately but not surprisingly, Conor/UFC have other plans. Dana White is now pushing for Khabib vs Tony which makes ZERO sense! I am a Khabib fan but Tony should be fighting for the real belt and not defend his number one spot. The champ is healthy and ready so what exactly is the reason for this? What needs to happen is for Conor to finally defend his belt against a legit contender with the winner fighting Khabib. And this is where Alvarez comes in. 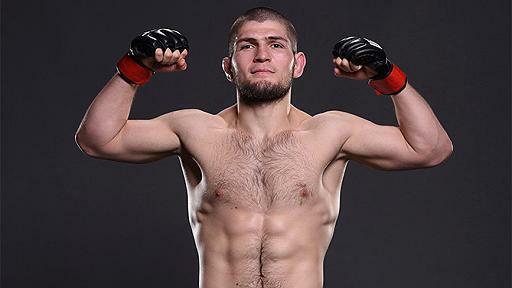 Khabib already stated that should his Tony fight falls through he is willing to fight Eddie Alvarez which is an excellent move. Staying busy while adding another top win to your already impressive resume. Of course, Eddie can win and ruin Khabib’s title fight but that’s what I like about Khabib, never dodging anyone. This fight is also good for Eddie as he is regaining his momentum and a win over Nurmagomedov will skyrocket his stock. Its a fair chance to both. Who you got?